Booking my Hawaiian inter-island flight from Oahu to Maui, I discovered there isn’t a lot of choice. 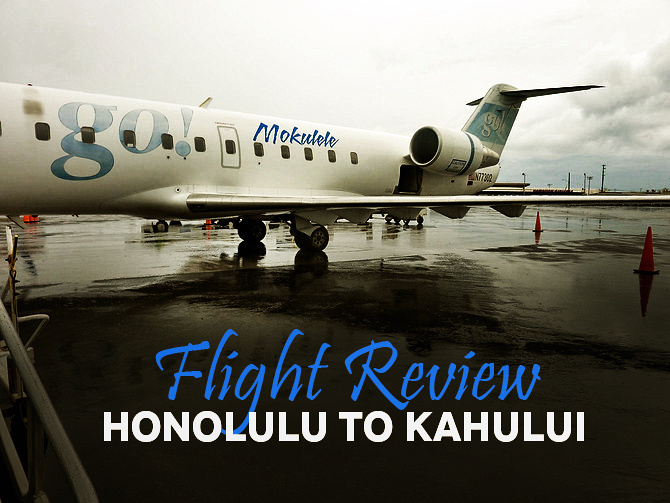 Two airlines were offering the route from Honolulu to Kahului – Hawaiian Airlines and go! Mokulele. I booked the latter purely on price. Branding – Who am I flying with? So, go! 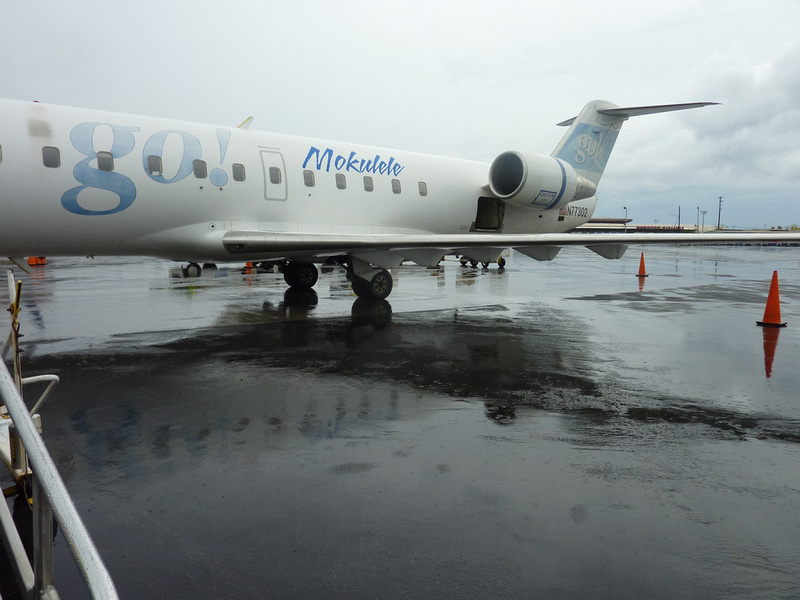 and Mokulele Airlines were once two separate airlines that were merged to form go! Mokulele. On my ticket it said the flight was operated by Mesa Airlines, which operates flights on behalf of go! Mokulele. In addition to that, there is also Mokulele Express, operated on behalf of go! Mokulele by Mokulele Airlines. Confused yet? If there is one thing that annoys me about flying on airlines from the US is paying the baggage fee at the airport. I know most airlines are charging for bags now, but it is more convenient to put it in the booking process and pay it all at once, rather than at the airport. Mokulele offer this option, so I paid my $10 bag fee when I booked. The trouble was that when I got to Honolulu airport the booking system wasn’t working properly, so the check in attendant couldn’t verify that I had paid the fee online. I then had to pay $10 on the spot so I could board. I was assured that I could simply get my money back by calling the customer service number. I assured them that this will be anything but simple, going on previous experiences with airline call centres. I have emailed the help line a few times now, but I have not heard back yet. The time I have wasted on chasing this baggage fee has cost me more than $10 in work time, but I am chasing this on principle. It is so sloppy and I don’t want them to get away with it. The flight was easy enough. At 22 minutes at was possibly the shortest commercial flight I’ve ever taken. The seat belt signs are barely turned off before they are turned on again for the descent. There is not alot to review – it’s a flying bus. I chose Hawaiian over Go! because I heard about Krisitn Luna’s (camelsandchocolate.com) experience having her flight with them cancelled 5 days early due to “mechanical problems.” Sounded a bit sketchy to me. Hawaiian had great customer service, so I have no complaints about them! I wish I had flown Hawaiian as well. I usually take into consideration frequent flyer points when choosing an airline, and I only discovered after booking that I could have earned Virgin Australia points with Hawaiian. Recently flew Go/ from Kona to Honolulu. The stewardess totally ignored the passengers as we boarded. She was more invovled with talking to the pilot and co-pilot. He was leaning back in the cockpit totally in a relaxed position. I was wondering if he had any preflight checks that needed to be done. Didn’t make me feel very secure knowing we were flying over the ocean at night. I will give her credit for at least reviewing the safety procedures – if you could understand what she said as she spoke so fast it was garbled. Felt sorry for the hard of hearing seniors on our flight. Nothing changed once we landed , as her back was to us as we disembarked, I took a look in the cockpit once we left the plane, and she was chatting it up with the pilot and eating what I suspect was popcorn. Got the impressions they were an item or she wished it.